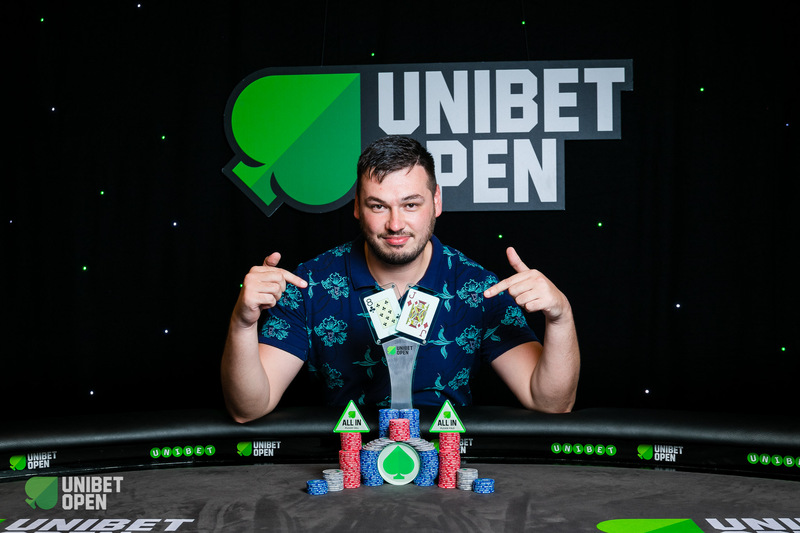 The 2018 Unibet Open Bucharest €1,100 Main Event has crowned its new champion. 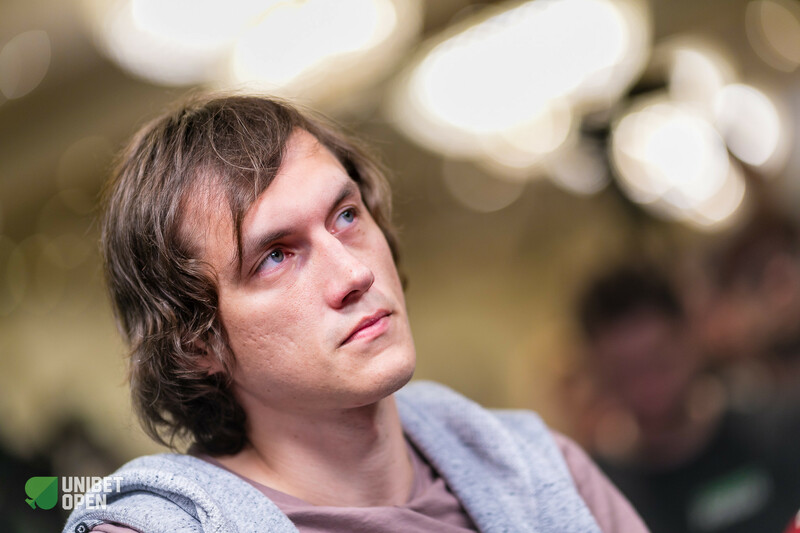 Anton Vinokurov managed to win the tournament in an impressive way; having the chip lead for the last day from start to finish, ending as the lone survivor of the 592-strong field and winning €103,060. "When there were five players left, I knew I would win. I felt no other players could beat me." Cosmin Cimpeanu finished runner-up while back-to-back Unibet Open Bucharest Ladies Event winner Carmen Zainescu came in third. Vinokurov started the day with the chip lead and he managed to maintain the position as the biggest stack throughout the day. With 12 players left in the tournament, it was Vinokurov who had about 30% of the chips in play. Seventeen players started the final day. Martin Wendt was the absolute short stack, and he busted out on the first hand of the final day. Wendt cashed for €5,870. Unibet Poker Ambassador David Lappin gave it his best, but he didn’t make it to the final table either, busting out in fifteenth place, collecting €6,520. "Some of the other players were playing good, and some were not playing good." 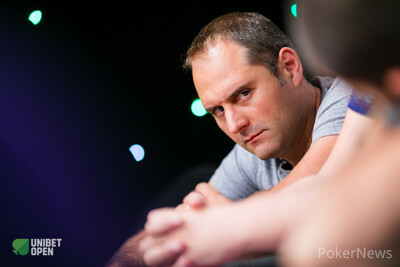 Tomasz Kozub ended the tournament as the unfortunate final table bubble after busting out in tenth place, worth €8,620. Kozub got all his chips in the middle on a queen-eight-seven board with two clubs while holding king-ten of clubs. Daniel Chutrov called with ace-queen, without a club, and held up after the ace of diamonds and the six of diamonds hit the board on turn and river. Chutrov himself was the next one to hit the rail. 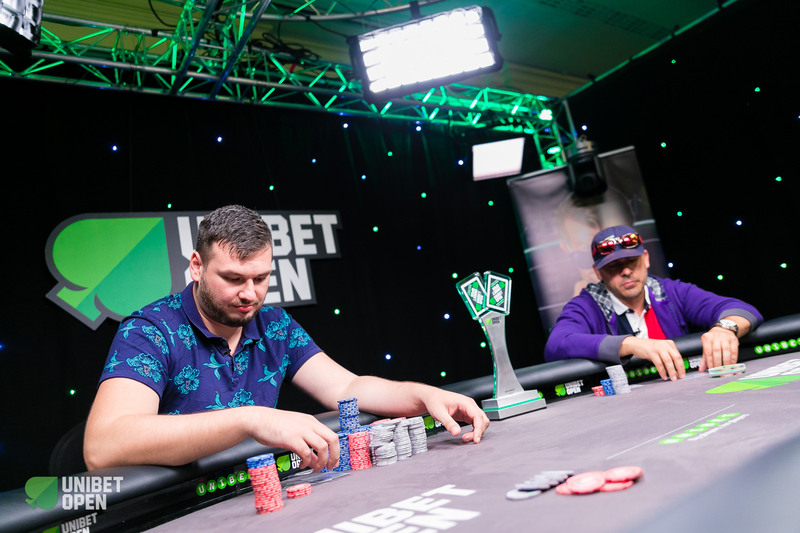 Chutrov, a former Unibet Open winner, had to settle for ninth place after he ran his pocket aces into the pocket queens of eventual winner Vinokurov. They got it all in on the queen high flop, and Chutrov didn’t manage to hit an ace on either the turn on the river, and he was eliminated from the tournament. Chutrov was just €90 short of a five-figure payday, collecting €9,910 at the payout desk. 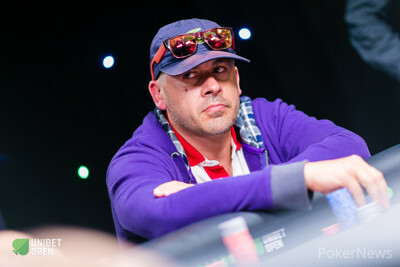 Amir Shomron was very active on the final table. He got it in with a king-high flush draw and two overcards to the board. Vinokurov had a straight and Shomron wasn’t able to hit the third heart to complete his flush. The Israelian poker player won €12,390 for finishing eighth in the Main Event. Vinokurov was active at the final table and was using his stack to put a lot of pressure on his opponents. He moved all in from the cutoff with king-six and Vitalijs Zavorotnijs called from the big blind with ace-queen. Vinokurov was fortunate enough to hit a six on the flop, and Zavorotnijs failed to catch up on the Russian chip leader. Zavorotnijs got €15,490 for his efforts as seventh-place finisher. Adrian Ionescu busted out of the Main Event in fifth place after starting the final table with just over three big blinds. Ionescu managed to ladder a couple of times, but eventually ended up shoving his ace-nine into the aces of Vinokurov. The board ran out clean without any nines on there, and Vinokurov sent another player to the rai. Ionescu banked a nice payday of €25,170. Florin Elisei was the next victim of the run that Vinokurov was on. He shoved all in from the small with nine-trey suited and Vinokurov woke up with pocket tens. Vinokurov snap-called and despite Elisei hitting a nine on the flop, he wasn’t beatable in the tournament. Vinokurov was up to almost 15 million in chips at that point with less than 18 million in play. Elisei was, in the meantime, on his way to collect €32,720 at the cashier. Only 15 minutes after the bust of Elisei, there was another bust at the Unibet Open Main Event final table. Back-to-back Unibet Open Bucharest Ladies Event champion Zainescu was eliminated after jamming her ace-four into the ace-jack of Cimpeanu. Cimpeanu flopped a jack right away, and it was all over for Zainescu on the turn. She ended up third in the tournament and collected €44,170. Cimpeanu fired away with queen-trey after Vinokurov had hit trips on the flop. Both players checked on the turn but Cimpeanu hit a pair on the river, and he bet another time. Vinokurov took a couple of seconds before deciding to put the pressure on Cimpeanu, and he moved all in. Cimpeanu made the call after a couple of seconds, and he saw the bad news after Vinokurov opened his hand. Cimpeanu was the last Romanian standing in the tournament as the title went to the Vinokurov. Cimpeanu collected €64,050. This concludes the five-day PokerNews coverage of the Unibet Open Bucharest from the JW Marriott Bucharest Grand Hotel. Until the next Unibet Open. Cosmin Cimpeanu is eliminated as runner-up of the 2018 Unibet Open Bucharest €1,100 Main Event. Cimpeanu limped the small blind with and Anton Vinokurov checked the big blind with . The flop came down giving Vinokurv trips eights. Vinokurov checked and then called a bet of 325,000 from Cimpeanu. The turn landed on the board and was the . Both players checked this time to see the river come down on the board. The river was the and Vinokurov checked another time. Cosmin bet out 800,000 this time and Vinokurov moved all in after a couple of seconds. Cimpeanu ended up calling for his tournament life with just his pair of queens and that turned out to be the end of the tournament. Cosmin Cimpeanu moved all in with from the small blind and Anton Vinokurov called. The flop was and Cosmin gained a lot of outs. The turn was one of those outs and Cimpeanu had Vinokurov drawing dead. The river was the useless and Cosmin could start stacking again. Anton Vinokurov started the heads-up, but he is extending his lead pot by pot. Cosmin Cimpeanu started with about 24 big blinds and is now down to 17 big blinds. Vinokurov has about 6,5 times the stack of Cimpeanu. 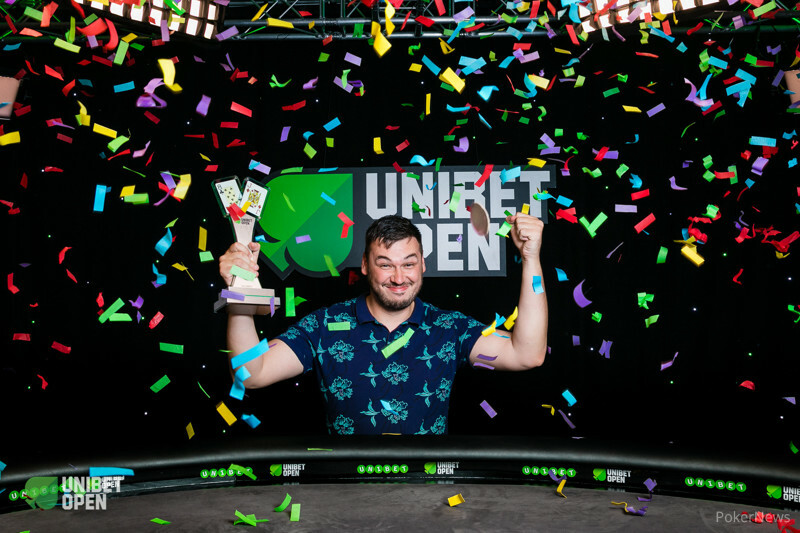 A new and exciting promotions dubbed the Battle of the Champions was announced during the first Unibet Open in London this year. The buzz around the promotion was instantly huge when announced and continues to grow as the year progresses. 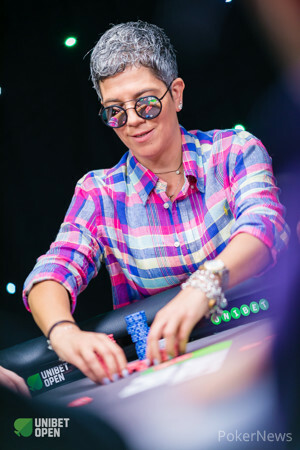 Events Coordinator for Unibet Kasia Scanlon was instrumental in bringing the Battle of Champions to life as a way to reward Unibet's live and online players under one umbrella. "We wanted to create something for players to bring together our most successful online and live players of the year," Scanlon shared with PokerNews. The Battle of the Champions will take place at the end of the year and feature four online players and five live player battling it out for a prize package valued at €10,000 including two Unibet Open packages, 10 Supernova tickets, two UK Tour packages, and two Cash Game Festival packages. The winning player will also hold the honor of becoming the Unibet Player of the Year. The other eight players will each win 25,000 bonus points in their Unibet Poker account valued at €250. Each of the four online players that will have a seat in the Battle of the Champions tournament will earn their spot through winning any of the four the Unibet Online Series Overall Leaderboard. Thus far there have been two Unibet Online Series and there are still two to come. Four players at the Battle of Champions will earn their seats via the Live Events leaderboard. 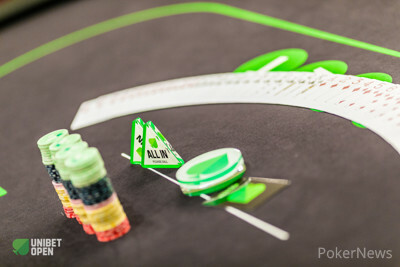 Players in the Unibet Open Bucharest Main Event earned points just by playing. Those that cashed earned even more points depending on what place they finished in the tournament. The final spot will be awarded to the year-long Unibet Deepstack Open leaderboard. Carmen Zainescu moved all in from the button with . After Anton Vinokurov was out of the way it was Cosmin Cimpeanu with the call as he found in the big blind. The board ran out and Cimpeanu managed to eliminate the back-to-back Unibet Open Bucharest Ladies Event champion from the Main Event. Florin Elisei moved all in with from the small blind and big blind Anton Vinokurov called with . The board ran out and Elisei was eliminated from the 2018 Unibet Open Bucharest Main Event. Elisei got to collect €32,720 at the payout desk for his 4th place finish. The players are going on an impromptu 10-minute break. Anton Vinokurov found on the button and he raised to 260,000. Carmen Zainescu had on the button and she raised all in for a total of 600,000. Vinokurov called from the button and they opened up their hands. The dealer spread out an flop, turn, and river and Zainescu actually hit a straight to double up against Vinokurov his king high.